@James, yes you can do that. @Brandon, Yes it is possible to award affiliates recurring commission if they refer a customer to a Subscription via eStore or WooCommerce subscription addon. Is it possible to award affiliates recurring commission if they refer a customer to a Subscription? Is this possible with your wp e-store plugin? and, is it possible with WooCommerce + Subscriptions plugin? @ Ruth, Yes we have MailPoet integration with the Affiliate. Do you have Mail Poet integration? I am looking for an Affiliate program that has this type of integration. @Andrea, You mean to offer a bonus amount when the user signs up? It is in the settings menu of this plugin. Hi where is it the bonus signup section? @Arien, Do you want your affiliates to be signed up to your mailpoel list when they become an affiliate? I am using Mailpoet e-mailprogram. 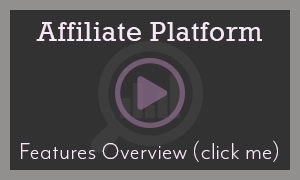 Can it be integrated with the Affiliate plugin? @Yury, Yes there is a check-box in the Affiliate settings. If you check this option you (the site admin) will get an email each time a commission is awarded. When an affiliate is awarded commission is there a notification email set to the admin? @Avery, Yes you can pay your affiliates in Euro’s. You can pay them in any currency that is supported by the payment gateway you are using. My purchases are made in Euro can I also pay my affiliates in Euro’s? @Lizzy, Yes we do have integration with Gumroad. You can find all our integration options on our documentation page. Do you happen to have Gumroad integration with the WP Affiliate? @Andrew, You can set it in the Affiliate to either pay a once off commission or every time the recurring payment happens. When using the Affiliate and recurring subscriptions, will the affiliate be paid one time or on the recurring amount? @TanTan, Yes you can manually pay your Affiliate and manually upgrade membership levels. I want to pay affiliate manually, is it possible? Also, can I adjust member from free member to paid member manually? Adding an Affiliate program to my site was a great thing. Using your plugins made it even better. It was quick to setup and understand. This has lead to a very successful Affiliate program on my site. 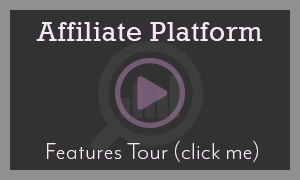 @3wendy, This plugin is for users who are selling products or services and want to run an affiliate program. If you are an affiliate who will be sending referrals then you don’t need it. How can i use this plug-in if I am the site sending referrals off to other ecommerce websites? I understand completely. Love this plugin. I will use it once my site is done. Thanks for your quick replies. This plugin will track the commission every time a recurring payment is charged and Thats it. You usually use a membership plugin to handle the membership side of things (for example: if you want to do advanced content protection for your content so certain content can be seen by some members and not others). I am creating a website where members pay a monthly fee to join and get paid commission for each person they refer. Do i need a membership plugin or can I use this to what I want? @Nyroka, Yes you can but it really depends on which membership plugin you intend to use. We have integration with a few membership plugins. It also works well with our own membership plugin WP eMember. Can I use this for membership sites and recurring bills? Hey Guys i’m very interested in the plugin, does it support the latest version of Gravity Forms and Gravity Forms PayPal Add-On? Thanks! I just want to check that the affiliate program will integrate ok with a straight one off Buy It now Paypal button? i.e I dont need the eCommerce software as well? I agree with met, this is an awesome tool. I own all the plugins they have to offer and love each and everyone. Yes you can use it for once off payments and recurring subscription payments. The Affiliate will track both types of payments when using it with WishList. I just wanted to thank the Tips and Trick team for making such and easy Affiliate plugin. I had my affiliate program up and running with in no time and it has been doing great since. @Alex, Yes you can manually change the affiliate commission on a per affiliate basis. Hey guys. I have a question. Is there possible to change the commission for an affiliate? I mean, if the site it’s set for a 20% commission per sale, can i make the commission for affiliate X 25%? @Rikho, Yes you can have 6-7 digits (Example 250,000.00). 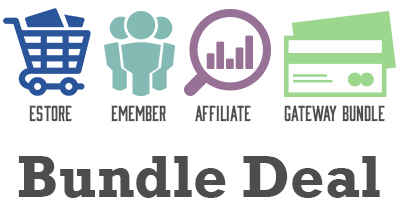 I want to buy ‘WordPress eStore + WordPress Affiliate Platform’, but I wanted to ask first. Can the currency changed? How many digits can be used? In my country it took 6 or 7 digits. I just wanted to say the T & T support team is off the hook . I was having a problem (that my theme was causing) with the WP Affiliate Plugin. The T&T team hooked a brother up and fixed the problem for me. @Katie, Yes you can manually add or remove commissions in the WP Affiliate plugin. Can I manually add commissions in the Affiliate Plugin? I have some people who purchase offline and I would like to award the Affiliates commission. I have already installed and running perfectly. @Lem, Yes your Affiliates can send the customer to any page on your site (where the Affiliate plugin is installed). The sale will be tracked site wide for as long as the cookie is present and active. Do I have to send customers to the sales page or can they be sent to any page on my site? Will the sale be tracked if they do not land on my sales page? At this time there is only 2 tier commission available with the WooCommerce integration.